Hall of Fame - Madonna! It's only right that we focus on Madonna today on her 60th Birthday! The Queen of Pop, Madonna, is one of the most succesful female artists from the 1980s. Madonna has been an influencer of many, Living in Michigan until her 20's when she decided to move to NYC to begin her career in dance. Her music career took off in 1982 when she signed to Sire Records. Since then she has released 13 studio albums with the most recent have been released in 2015. Madonna wasn't only succesful in Music and Dance, but she also took up Acting, Fashion deisgning and writing children books! She is a woman of many talents. Having sold more than 300 million records worldwide, Madonna is recognized as the best-selling female recording artist of all time by Guinness World Records. According to Billboard, Madonna is the most successful solo act on its Hot 100 song chart and second overall behind the Beatles. She is also the highest-grossing solo touring artist of all time, earning $1.4 billion from her concert tickets. The singers personal life is no secret, Mother of 6 children, Madonna adopted twins Estere and Stelle in 2017 after taking them from Poverty within Malawi. 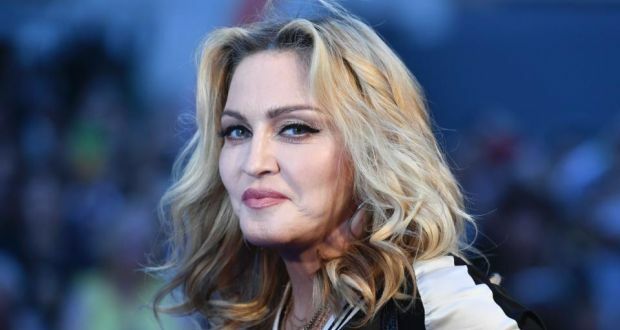 Things aren't all sunshine and rainbows within Madonna's motherhood though, after her split from Guy Ritchie, there was a constant custody battle over son Rocco Ritchie. Although as of July 2018 there has been rumours that the two have no longer been fighting about it as Rocco turns 18. Madonna has been supporting Malawi since 2006 where she formed "Raising Malawi" which is a trust aimed to improve the living standards in Malawi. The charity has brought happiness to a lot of people, and you can read about the type of work they have done and how you can get involved here.